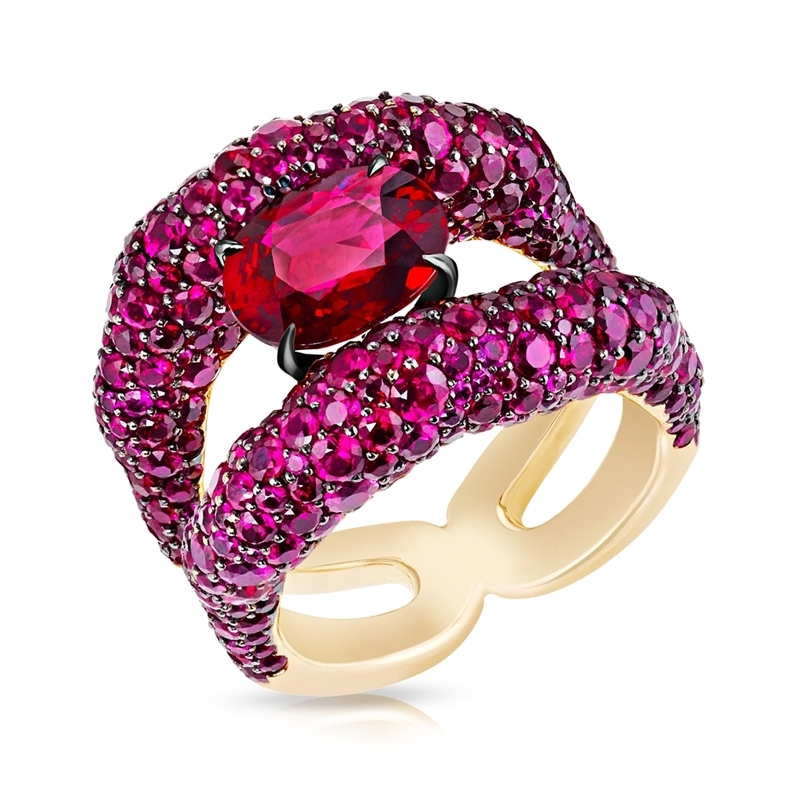 From The Magnificent Collection – A ring centered upon a fiery 8 carat imperial red Thai ruby flanked by oval diamonds. 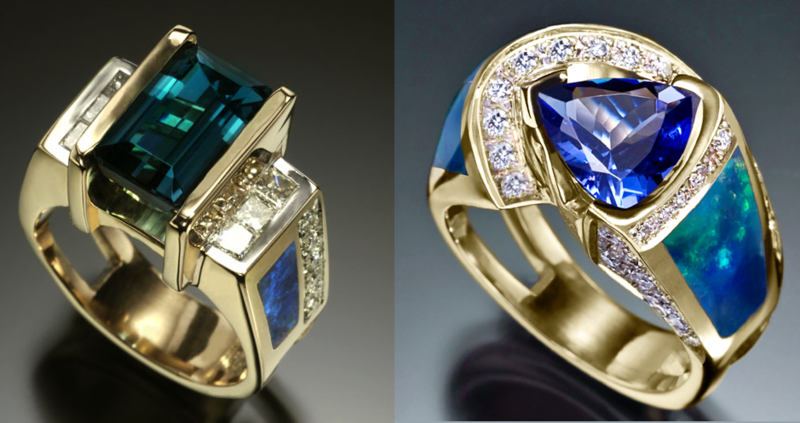 This gorgeous ring was created by the renowned Bayco Jewelry. 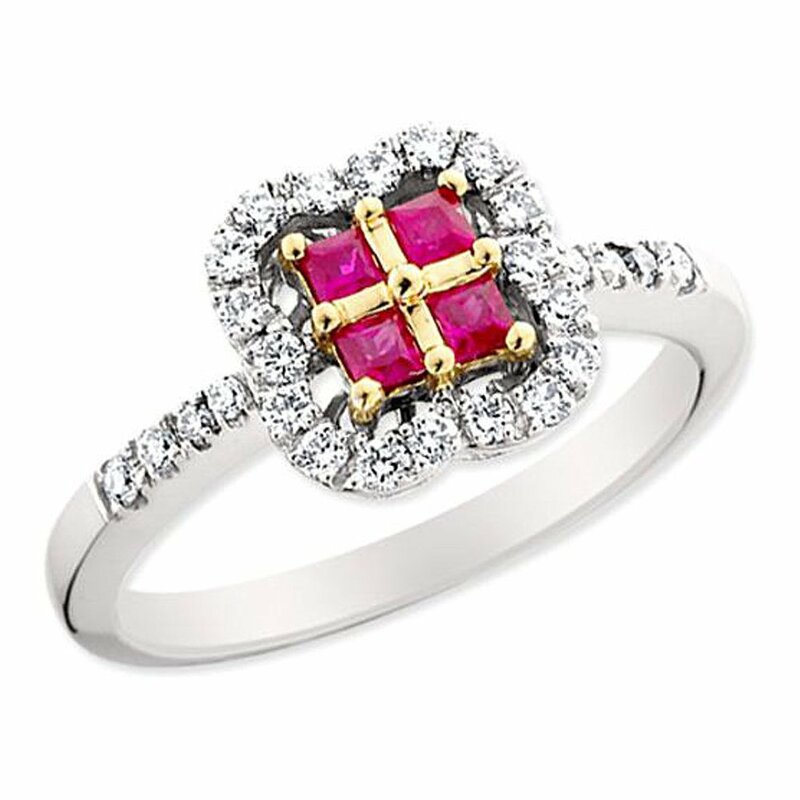 For More Details On How To Purchase This Gorgeous Ring From Bayco Jewelry Click Here. 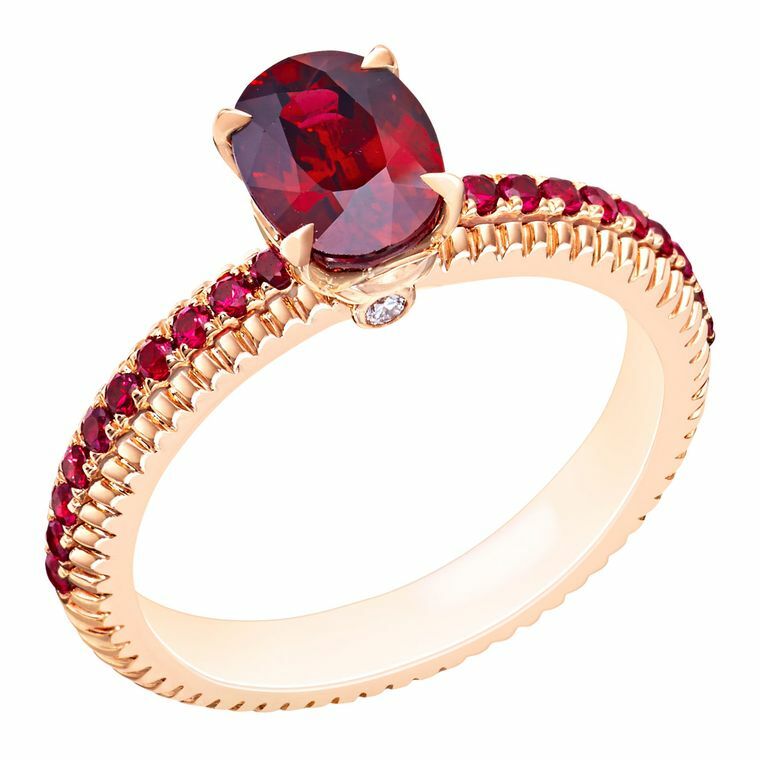 This fine and impressive ruby marquise ring has been crafted in 18 ct yellow gold. 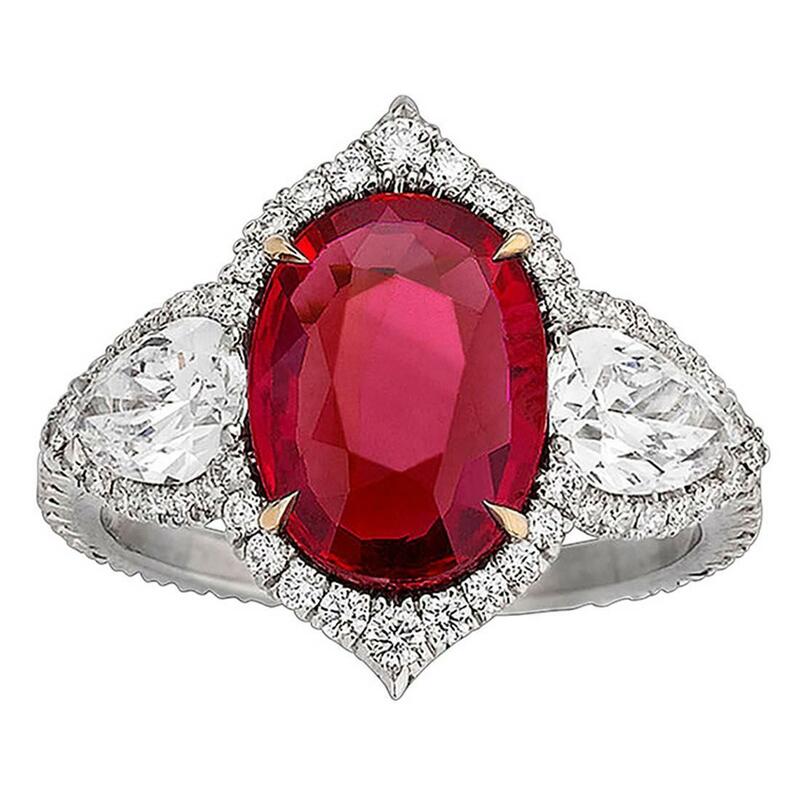 The pierced decorated, marquise shaped setting displays five graduated oval mixed cut rubies, pavé set vertically to the center of the design. 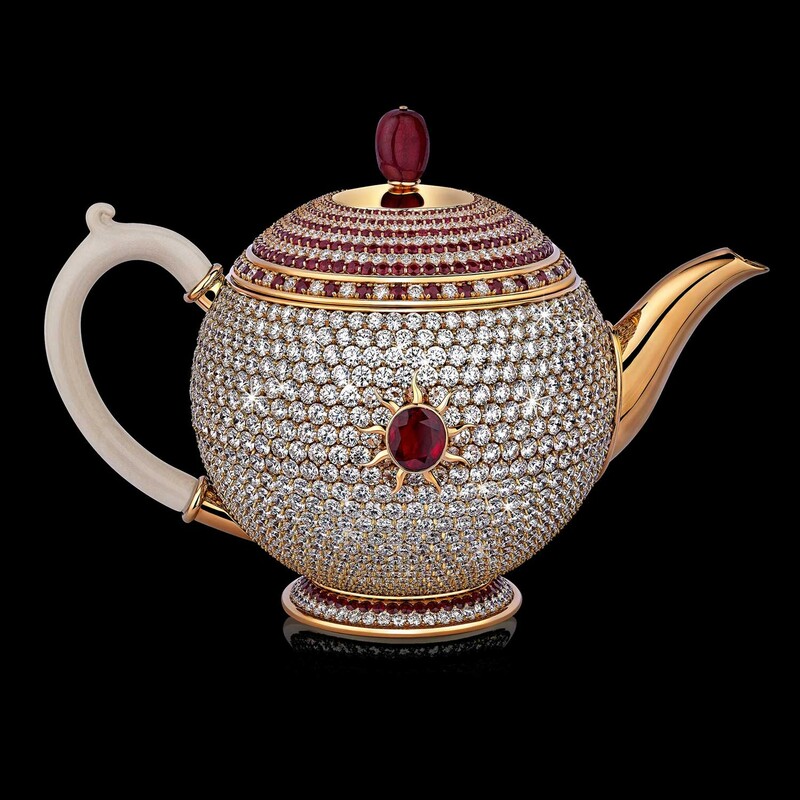 The rubies are flanked on either side by a total of sixteen Old European cut diamonds to complete the design. The pierced decorated, scrolling trifurcated ring shoulders are accented with a subtle groove decoration and blend seamlessly with the plain ring shank. 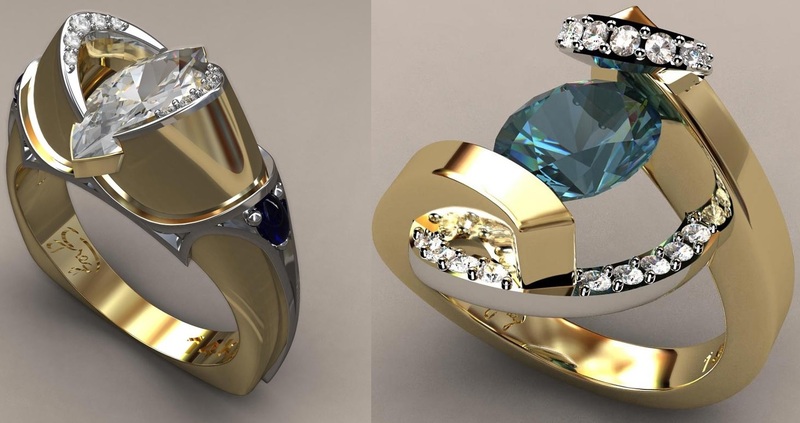 This marquise shaped dress ring has been independently tested using state of the art technology (Niton XL2 Analyzer) and verified as 18 ct gold. 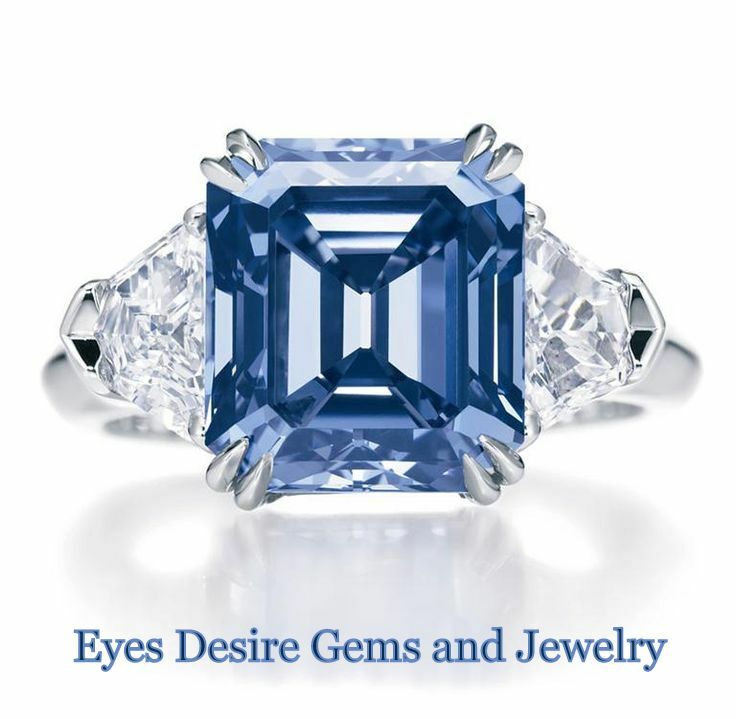 The ring is supplied with an independent diamond grading report card. 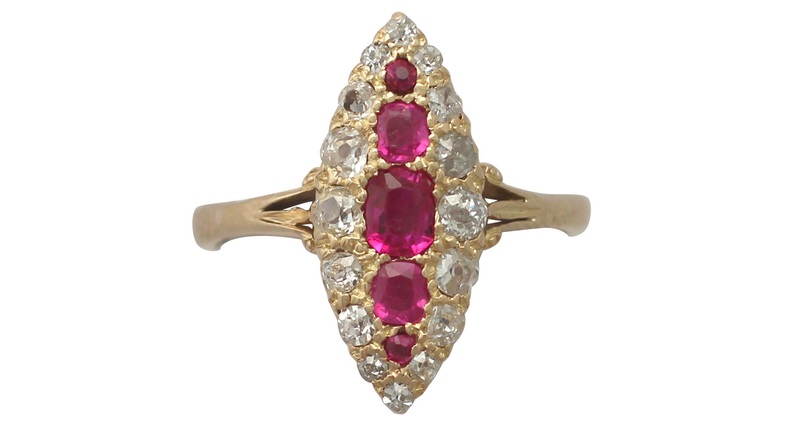 This antique 1900’s cocktail ring is fine quality set with rubies and very well color matched, very high color graded old cut diamonds. 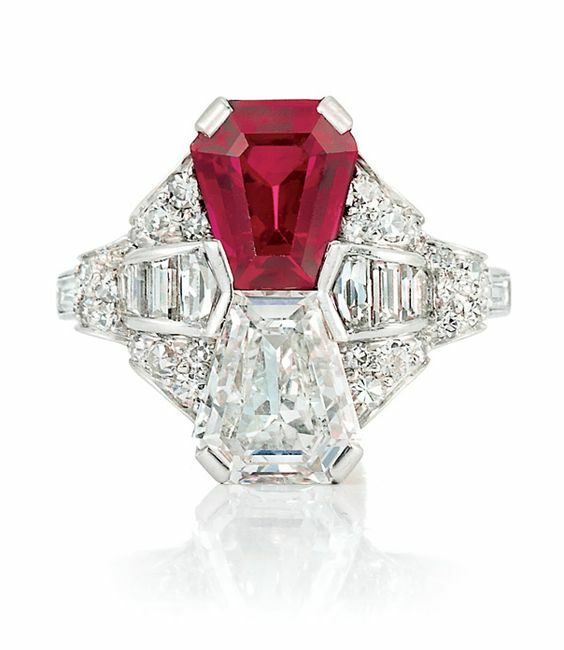 Art Deco Carved Ruby Diamond Ring. 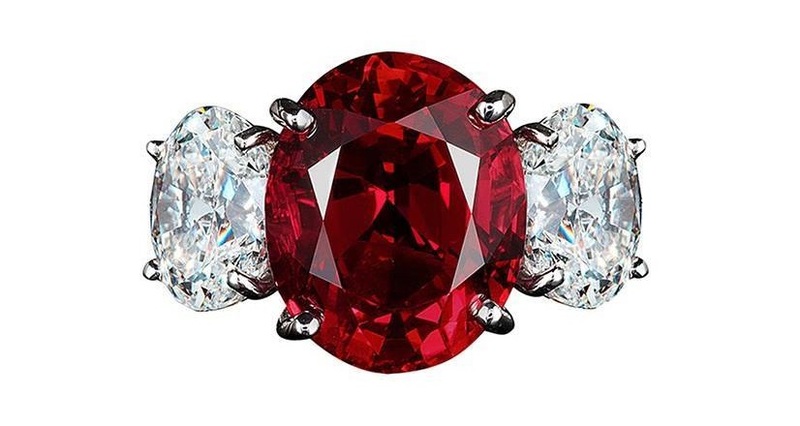 A Gorgeous Ruby and diamond ring, centering a carved ruby weighing approximately 7.01 carats, the ruby set within a round-cut diamond frame with a row of baguette-cut diamonds and single marquise-shaped diamond at either shoulder, mounted in platinum. Ring measuring approximately 15 x 11mm from the top. 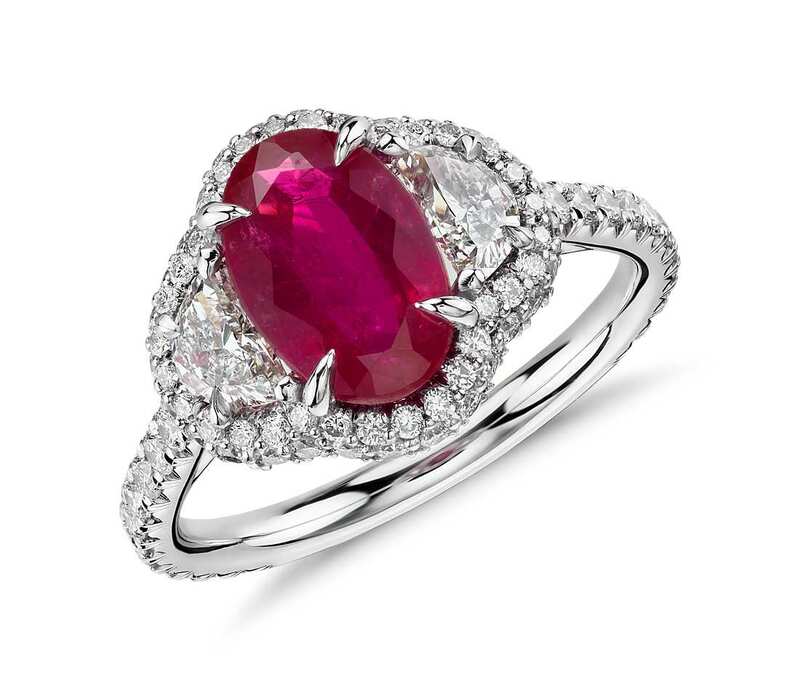 A dazzling 3.02-carat untreated ruby radiates at the center of this mesmerizing stone-led design. 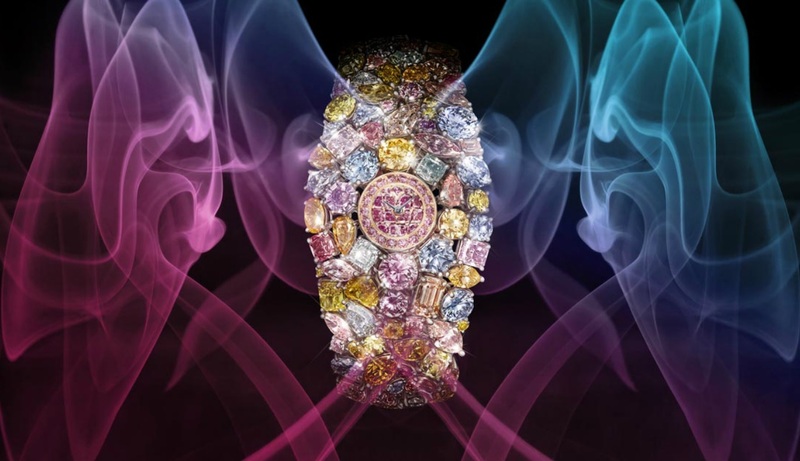 Two teardrop shaped diamonds are set, one on each side, of the untreated gemstone, while round diamonds encircle the perimeter and shank, adding to the brilliance of the remarkable ring. This incredible ruby is certified by C. Dunaigre of Switzerland as being Mozambique in origin and completely untreated. 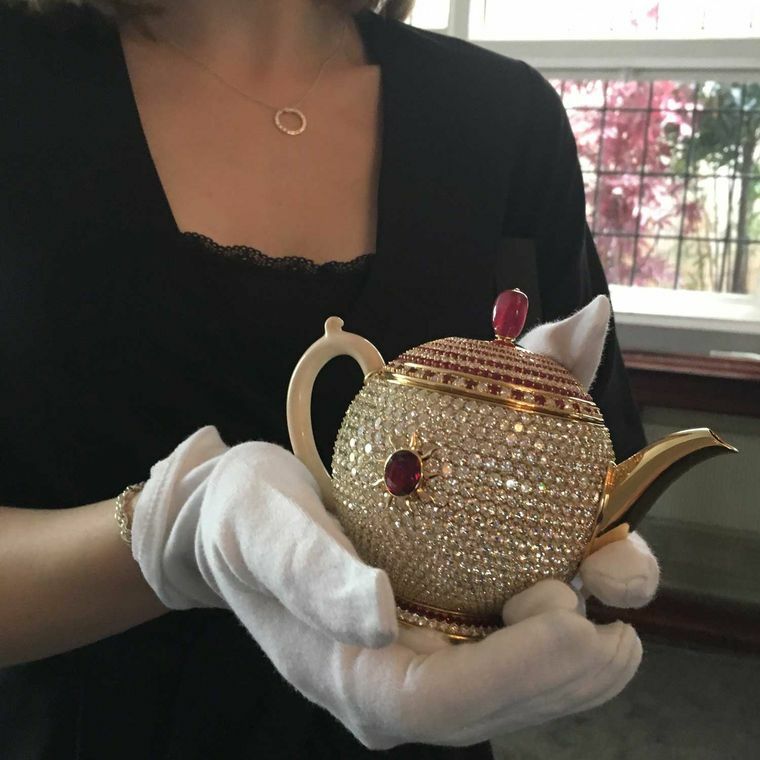 Set in platinum and 18k gold. 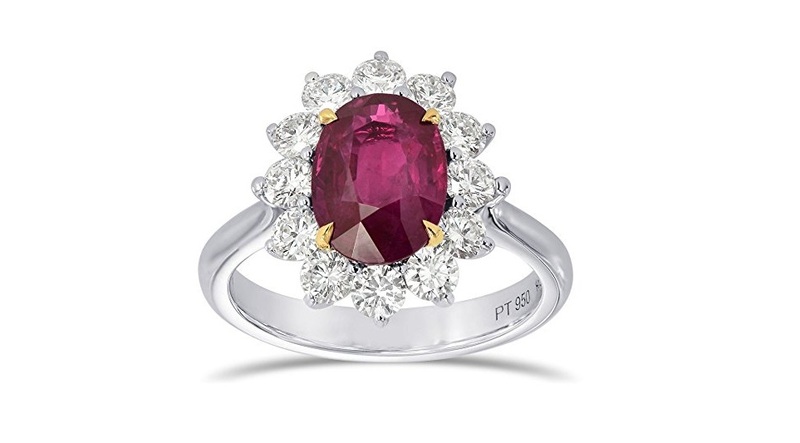 Uniquely stunning, this gemstone ring showcases a lively 2.24 carat oval ruby and two brilliant half-moon diamonds surrounded by halo of pavé-set round diamonds set in platinum with an 18k yellow gold accent. 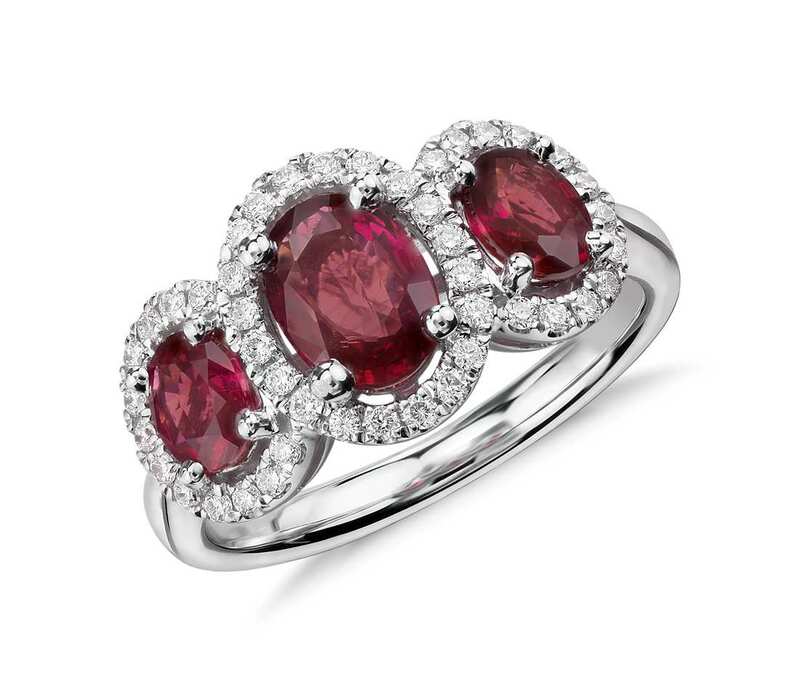 The exquisite ruby is a scarce, non-heated gemstone. 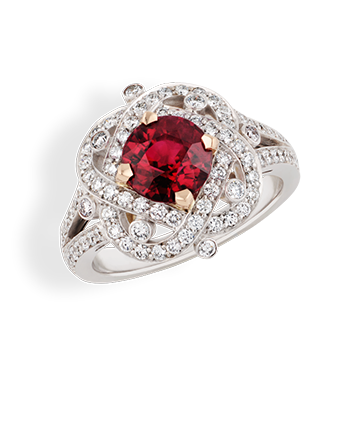 Ruby and Diamond Double Halo Ring in 18k White Gold (0.98 ct center). 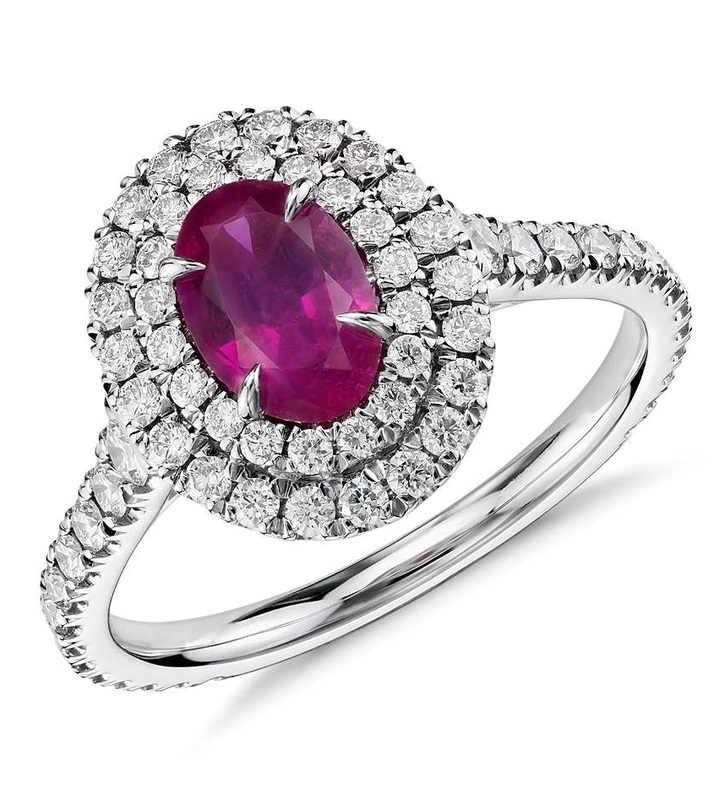 Uniquely stunning, this gemstone ring showcases an exquisite 0.98 carat oval ruby and a double halo of brilliant pavé-set round diamonds framed in 18k white gold. 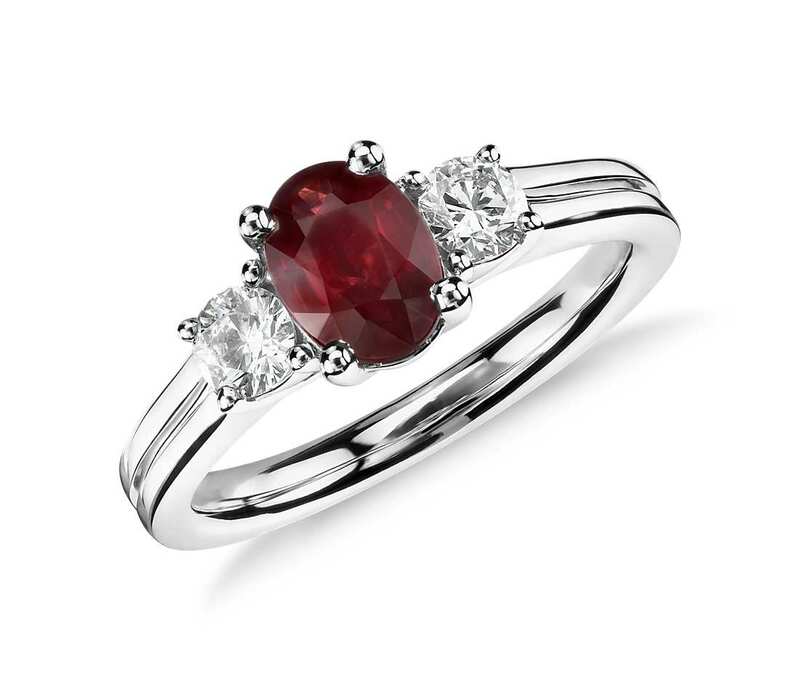 The Ruby gemstone is untreated and accompanied by a GIA Origin Report. 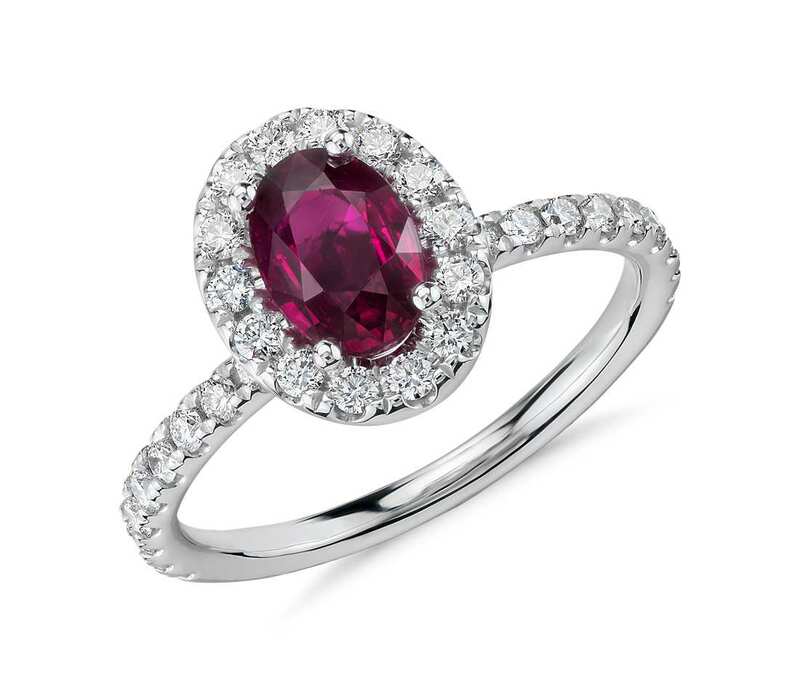 Brilliant in every way, this gemstone and diamond ring features rich oval rubies surrounded by sparkling micropavé diamonds framed in 18k white gold. 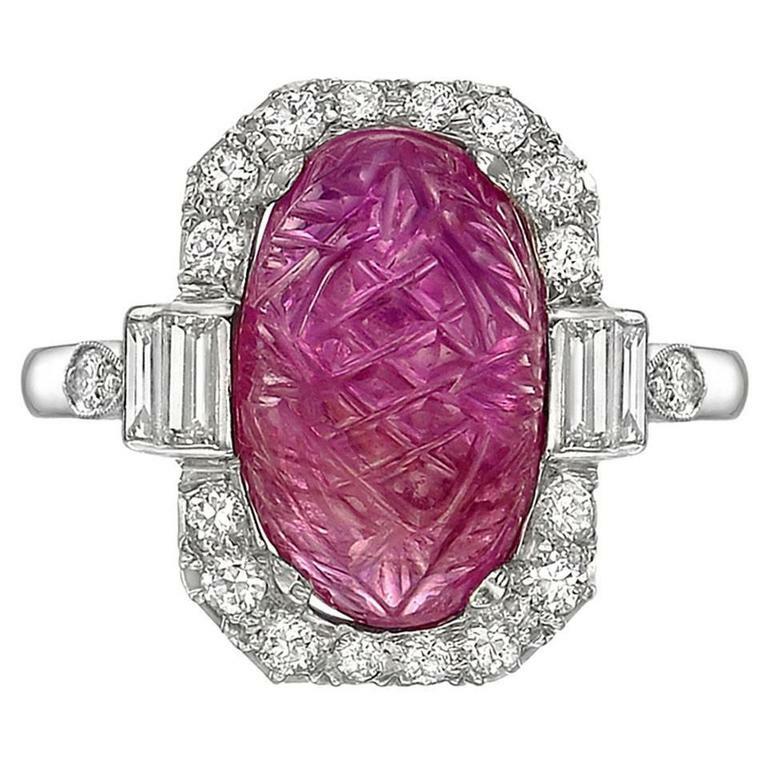 A vision of rich color, this ruby and diamond ring features an oval ruby framed by thirty-two pavé-set round diamonds in 18k white gold. 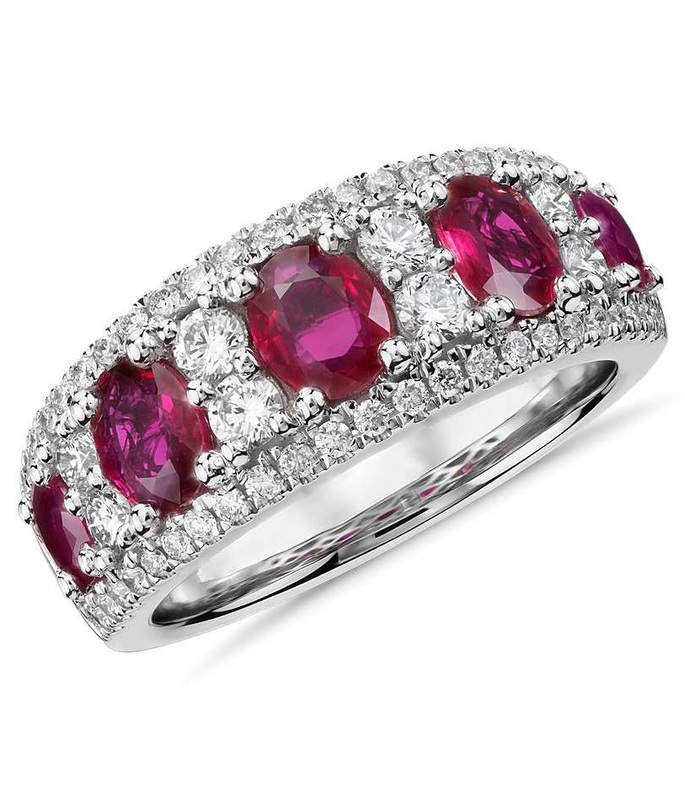 Rich in color, this ruby and diamond ring features a vibrant oval ruby prong-set in 18k white gold and accented with two round diamonds creating a beautiful three-stone ring.